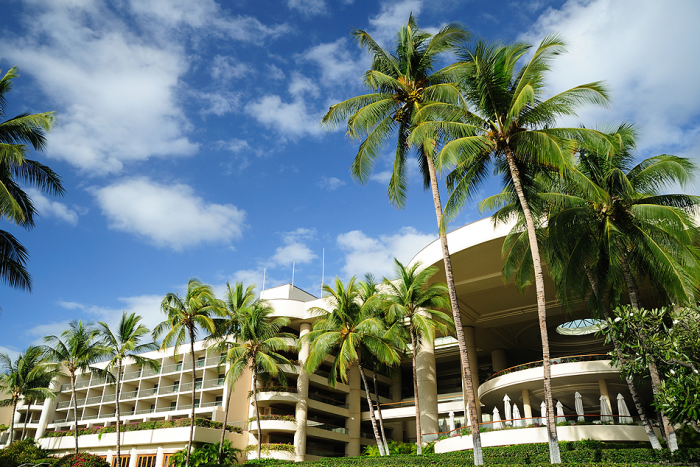 The stunning Westin Hapuna Beach Prince Hotel has defined luxury on the Big Island since it opened in the 90s. This immaculate service could easily translate to a beautiful wedding ceremony with the Pacific waters as the focal point. 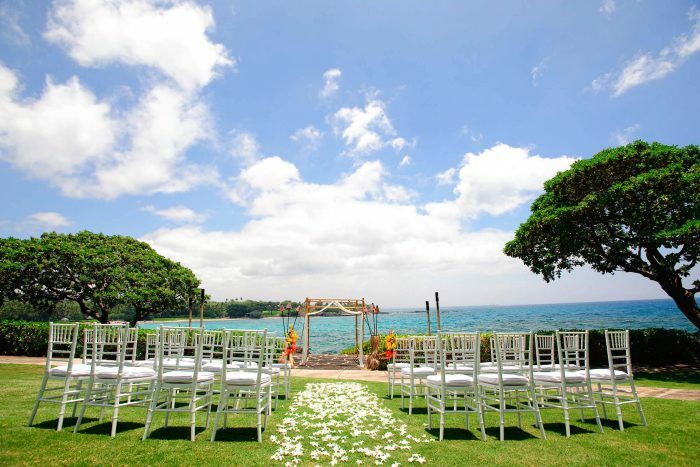 A destination wedding here would be one surrounded by nature, and there are over 1000 gorgeous acres shared with the Rockefeller designed Mauna Kea Beach Hotels, perfectly nestled into the bluffs. The focus of the resort is the rejuvenation for every guest who enters. ‘Hapuna’ translates to “springs of life” and natural springs are featured within the grounds that act as natural fountains. 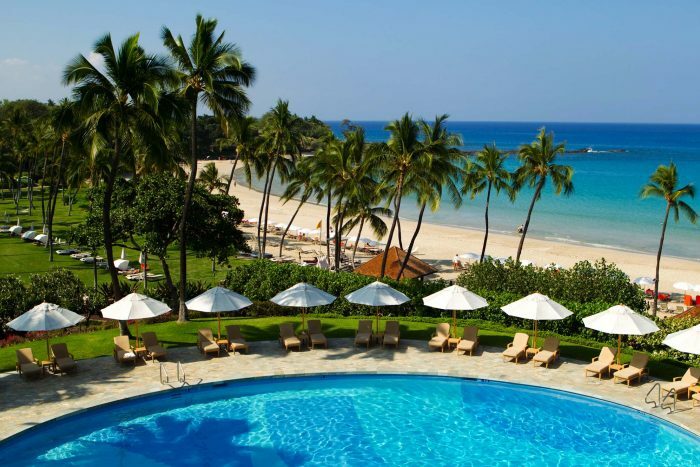 Every month the Hapuna has a wide array of events on their calendar that feature everything from art festivals to special dinner series across the resort. For a unique bachelor party, have the guys book a round of golf on the famous Hapuna Beach oceanfront golf course. 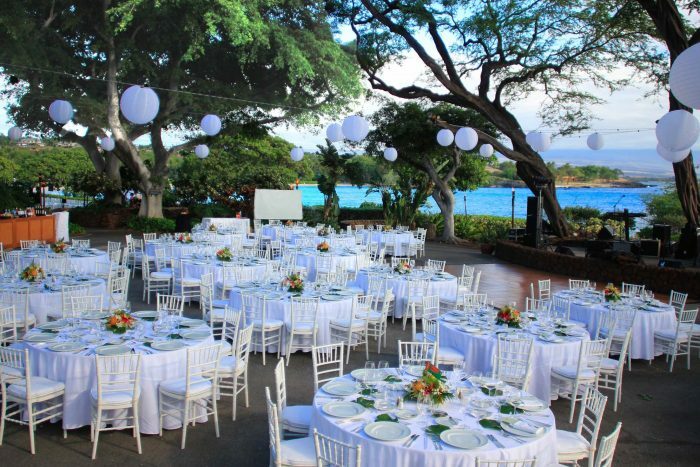 Kohala Gardens – 600 guests max, Courtyard – 350 guests max, Breezeway – 150 guests max, Turtle Point – 75 guests max. Hapuna Beach Prince Hotel can hosts up to 4 weddings per day. $240 – $290 average price per night for 2 adult occupancy. Rooms include free wifi, mini fridge and balconies or terrace. Kids age 16 and under stay at no extra cost with a paying adult. There are 350 rooms with ocean or partial ocean views. Due to the sprawling nature of the resort, it is recommended for more active guests. This hotel allows a maximum of 3 adults per room or 2 adults and 2 children 17 and younger. The resort is located 26 miles from the KOA airport. 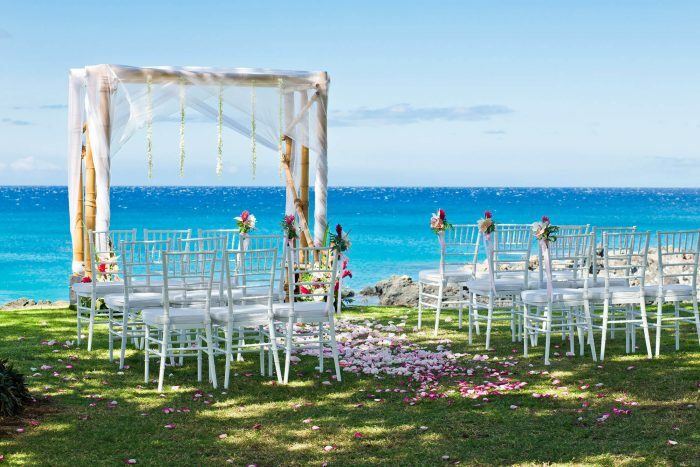 Westin Hapuna Beach Prince Hotel can hosts up to 4 weddings per day.